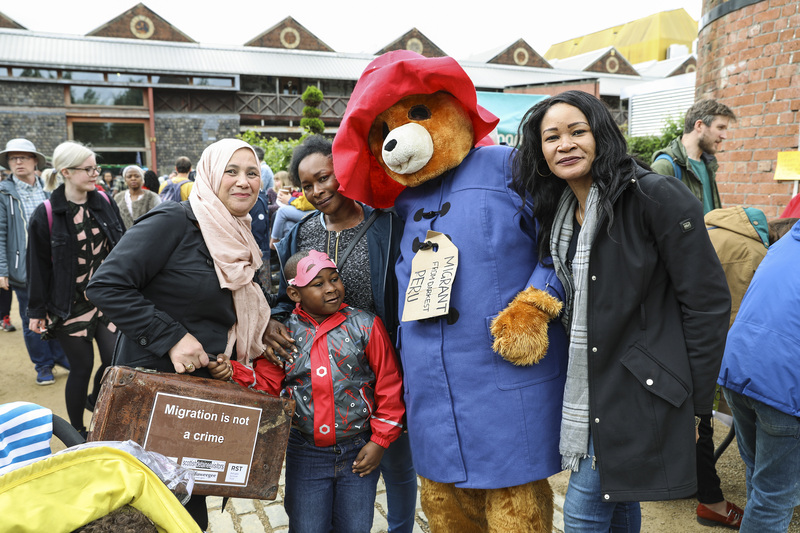 Refugee Festival Scotland is back for ten days this June to celebrate the contribution refugees make to life in Scotland – the food and drink, music and poetry, dance, visual art and ideas that people bring with them when seeking sanctuary in Scotland. From Thursday 20 – Sunday 30 June 2019, the festival offers people from different backgrounds the chance to meet and sample a little of each other’s cultures, listen to each other’s stories and get to know each other better. This year, the Festival’s theme is Making Art, Making Home. We want to showcase the talent, creativity and resilience of New Scots artists and community groups. Arts, culture and sport are important in creating spaces for old and new Scots alike to meet and learn more about each other, breaking down barriers and highlighting the vibrancy and diversity of Scotland’s communities. Anyone can get involved in the Festival. Do you have an idea for an event or activity for this year’s festival? This could take any form – an exhibition, a piece of theatre, dance, a workshop – the opportunities are endless. Are you a community group led by refugees or supporting refugees in Scotland? Small grants of up to £500 are available to help deliver an arts, cultural or sports event or activity during the Festival. We are looking for events and activities that celebrate and raise public awareness about Scotland’s many communities and strengthen connections and partnerships between people from different backgrounds. Events or activities must be open to the public. Last year, over 30 groups opened their doors to celebrate diversity and community in Scotland, and we can’t wait to see your ideas for this year’s festival! Find out more about how to apply here!